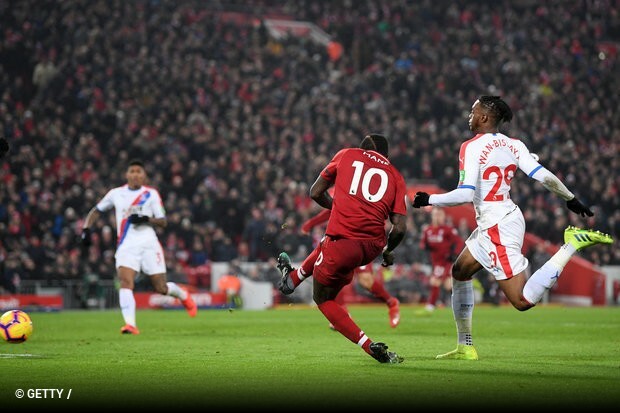 Mohamed Salah scored twice - including his 50th Premier League goal - as Liverpool survived a scare by coming from behind to defeat a resolute Crystal Palace (4x3) in a seven-goal thriller at Anfield. Palace led thanks to Andros Townsend's first-half goal, but quickfire strikes from Salah and Roberto Firmino turned the game around eight minutes into the second half. Sadio Mane appeared to secure the points for Liverpool late on but there was still time for the Eagles to reduce the deficit once more through substitute Max Meyer in injury time. Jurgen Klopp: "A game like this can go in all directions. We dominated the first half but went in 1-0 down. When Sadio Mané scored the fourth goal in stoppage time I looked at my watch and though: ‘OK that should be enough.’ But football always teaches you the game is never over until it is finished." Roy Hodgson: "I thought we played extremely well and I'm proud of the performance, I'm disappointed for the boys that they've got nothing to show for their efforts. There's been so many games this season where we've taken encouragement and we've played far better than the result has shown."